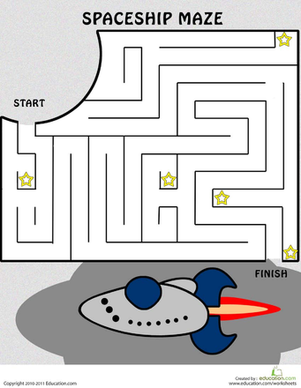 Help the baker through the maze, picking up all her baked goodies before packing her basket. 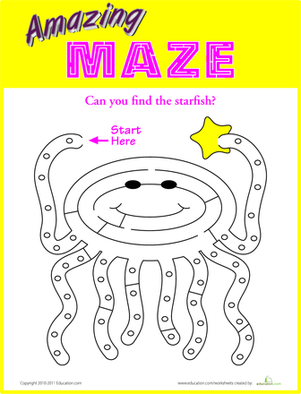 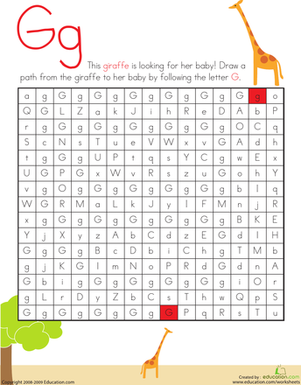 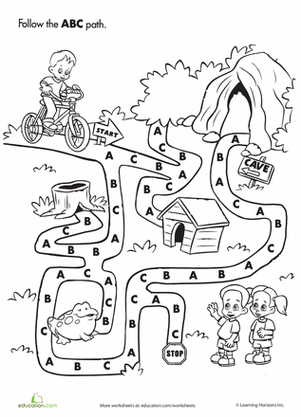 If this was a real-life maze, you would never see your kid finish a maze so fast! 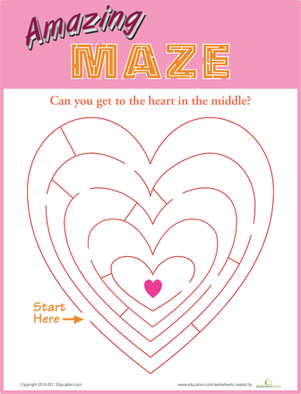 It's Valentine's Day, but these poor Valentines are separated by a tricky maze! 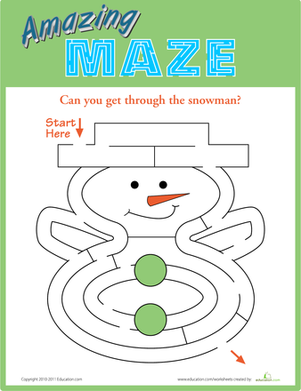 This friendly snowman maze doubles as simple entertainment for your young learner.